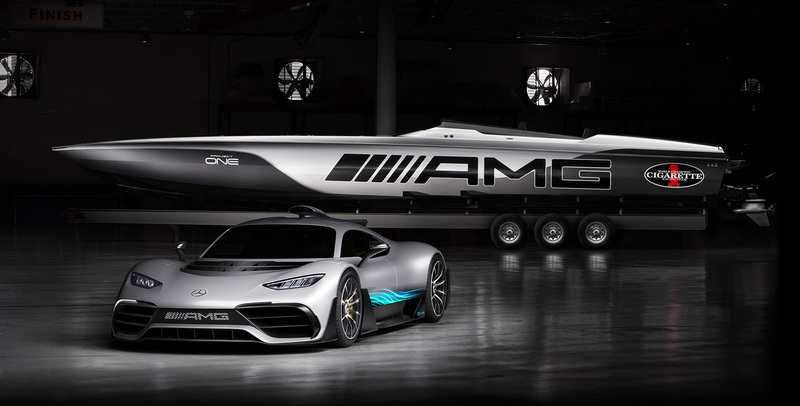 As with all Mercedes-Benz's high-performance division's input into its ninth collaboration with Miami-based speedboat builder Cigarette Racing, AMG's involvement is largely limited to the design and branding of the boat. 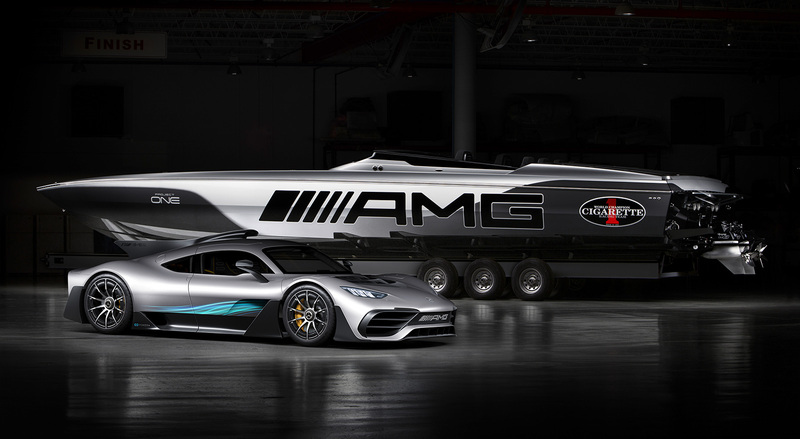 Daimler's chief design officer Gordon Wagener worked on the design on the 2018 boat himself—and as if a Mercedes-Benz USA spokesperson's declaration of the design boss's enthusiasm for the project weren't proof enough of his belief in the AMG/Cigarette partnership, his decision to fly over to the Miami Boat Show to take a ride on the boat along with a gaggle of assembled journalists was a pretty strong testament to it. 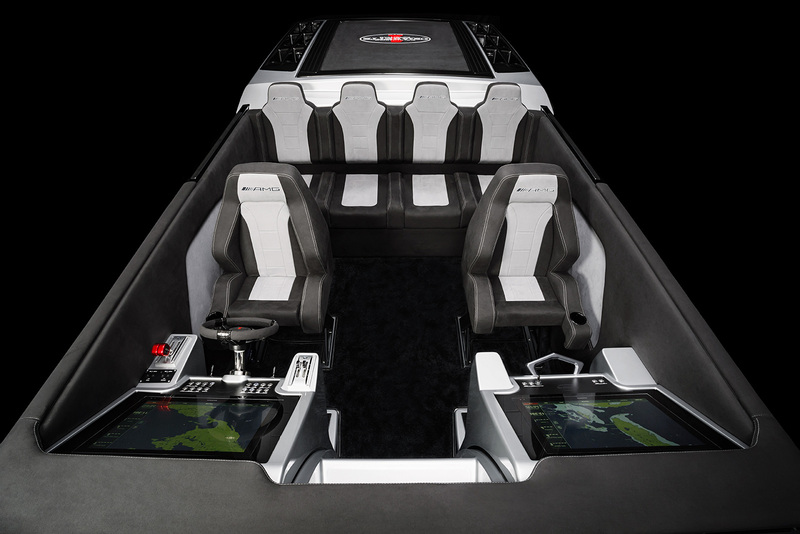 A 9-foot-6-inch beam—a full foot and a half greater than the Marauder SS—makes it wide enough for four people to sit abreast in the back of the open cabin, while the pilot and his shotgun rider both benefit from captain's chairs mounted in front of 24-inch Garmin-made digital dashboards that make a Tesla's gauge clusters and infotainment system look like iPhones by comparison. There's also a tiny enclosed space with a pair of beds inside the lengthy prow, which one of the journalists* on the trip took to crassly describing as a "bang chamber." The Cigarette Racing 515 Project One, in all its 51.417 feet of glory. Yet, somehow, that sort of speed doesn't feel nearly as wild as you might expect. At triple-digit velocities, the Cigarette's nose—which rises higher and higher as it accelerates onto plane—drops back closer to the water, as if the boat were somehow managing to outrun physics itself. And while the speedster-style windshield may look insubstantial, it does a shockingly good job at bending the slipstream above the occupants' heads. Even at those speeds, the wind on my outstretched hand was several times greater than the wind on my head just a couple feet below. I'd still suggest putting a Croakie on your shades if you're gonna be making a lot of high-speed runs, though. 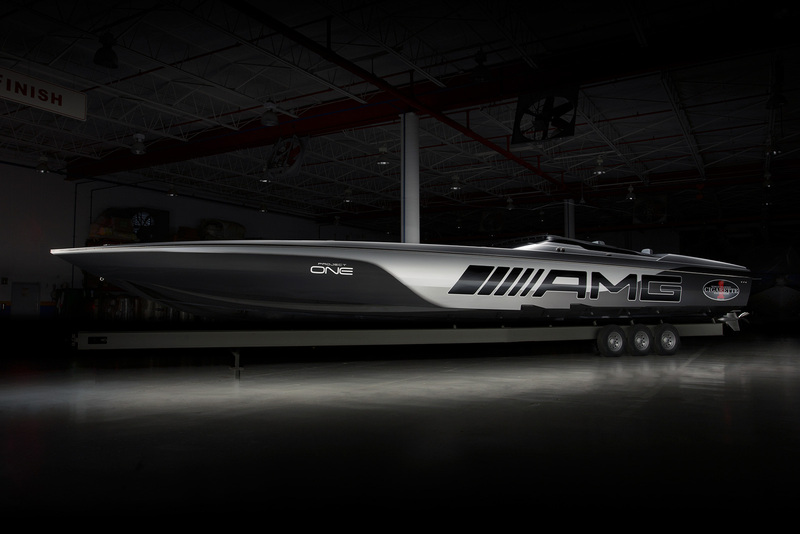 And at flank speed, the 515 Project One will burn through roughly 160 gallons of fuel per hour—but considering the boat has a 278-gallon fuel tank, that means this speed machine can run at full throttle for nearly an hour and 45 minutes before running out of gas. Assuming your average speed clocks in at 115 mph, that's 200 miles of high-speed action—enough to sprint from Miami to Nassau with a skosh of gas to spare. 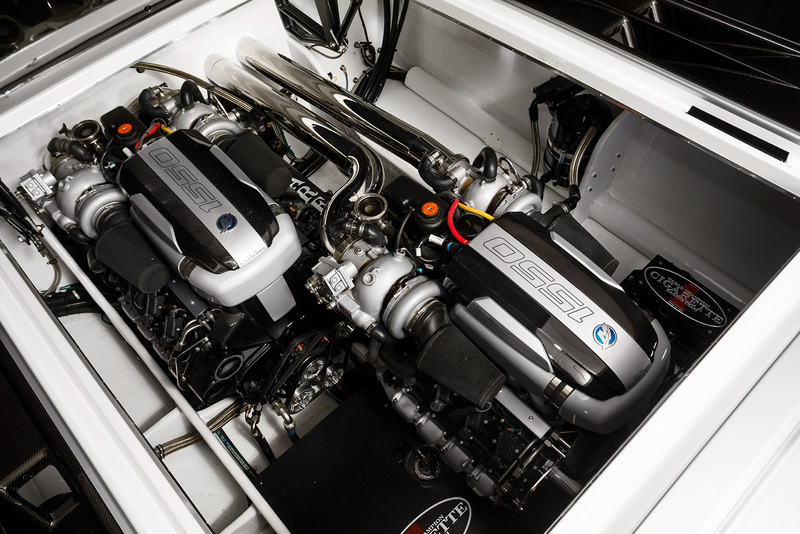 Of course, you'll need a pair of huevos grandes to do that, because in a boat like this, there's even less room for error at those speeds than there is in the jankiest sports car. One unexpected broadside from a wave, one unseen floating log, or half-submerged SpaceX rocket ahead of you, and any speedboat doing 100 knots seems liable to flip. I don't know whether it'd go stern-over-teakettle, do a barrel roll, or simply fly apart, but at those speeds, it doesn't matter—you slap the water at that velocity, nothing short of those all-enveloping impact airbags NASA made for the Mars Exploration Rover will save you. We put on life vests before pulling out of the dock, but it seemed rather like the nautical equivalent of those duck-and-cover drills from the '50s. Yeah, this'll help. 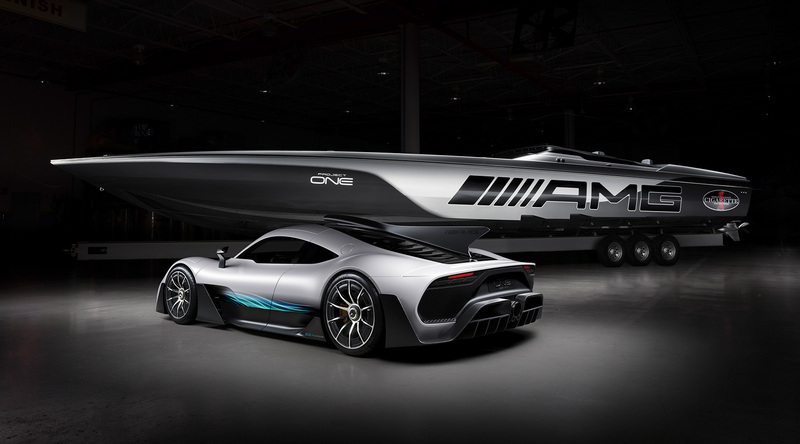 Mercedes-Benz also brought the Project: One to the Miami Boat Show. It looked good. Then to answer the final question likely popping around your mind at this point: How much does this sucker cost? 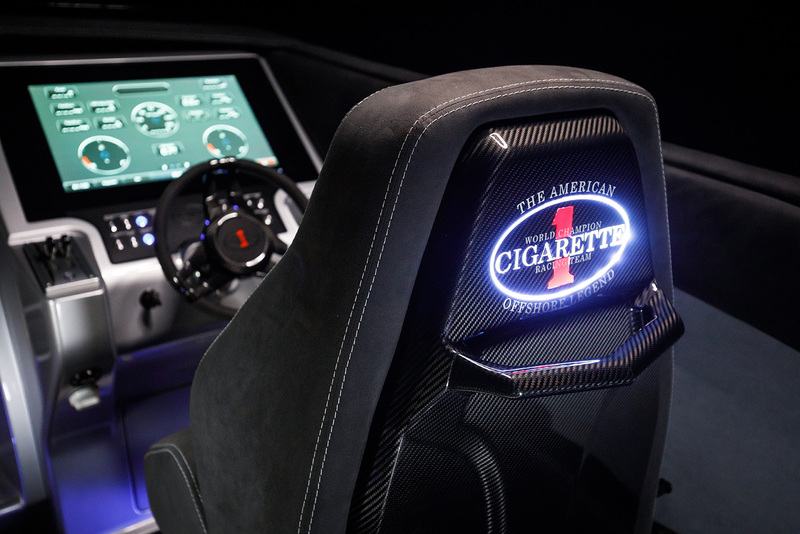 Officially, Mercedes-AMG suggests you contact Cigarette Racing for a quote, but the scuttlebutt at the launch event suggested each of the 515 Project Ones (no more than six will be built) will carry a price of about $2 million. Not cheap, sure—but it means that this year's joint Mercedes/Cigarette's venture is actually cheaper than the car that inspired it. The Project One hypercar may be available in greater numbers, but at $2.4 million per car, it'll make a bigger dent in your bank account. Not that you're likely to care if you're the type who can afford these sorts of toys. A Project One build slot has been spotted on sale for more than double the hypercar's MSRP.